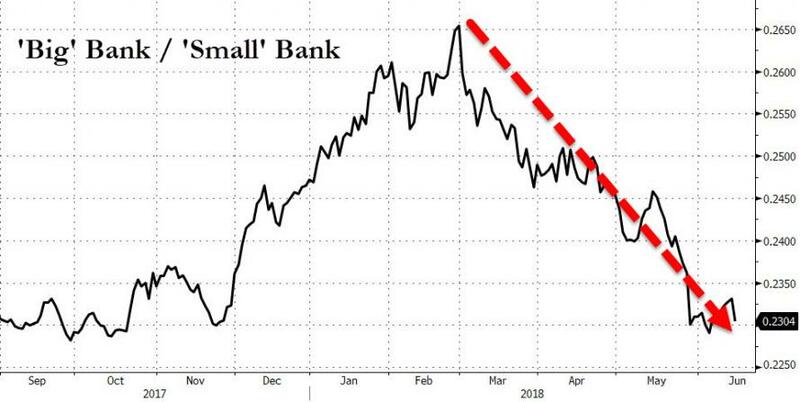 But it's broader than that this "big" bank blow-up is global. The stock prices of 16 of the most 'Systemically Important Financial Institutions' (SIFIs) in the world are now in bear market territory (down by 20% or more from their recent highs in dollar terms); and as the FT reports, this has caused Ian Hartnett, chief investment strategist at London-based Absolute Strategy Research, to issue his first "Black Swan" alert since 2009. 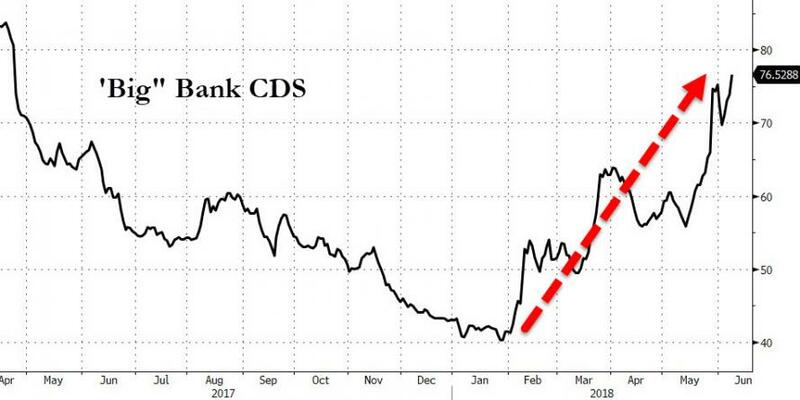 Of the 39 SIFIs, these are the 16 in bear market territory: Deutsche Bank, Nordea, ICBC, UniCredit, Crédit Agricole, ING, Santander, Société Générale, BNP Paribas, UBS, Agricultural Bank of China, AXA, Mitsubishi UFJ Financial Group, Bank of China, Credit Suisse and Prudential Financial. “The clue is in the name,” he said. "The synchronised dips were a sign of global financial stress." 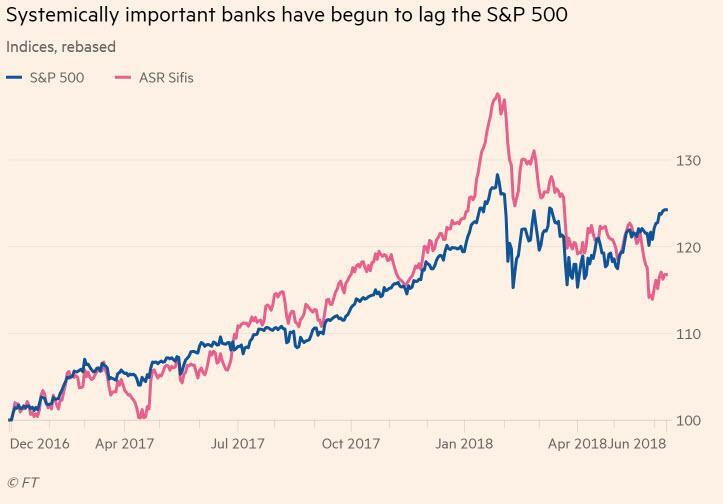 As The FT goes on to note, what many of the harder-hit Sifi banks have in common, said Mr Harnett, was a heavy dependence on US-dollar funding, putting them at risk of a squeeze if US rates continue to rise and the dollar continues to strengthen. 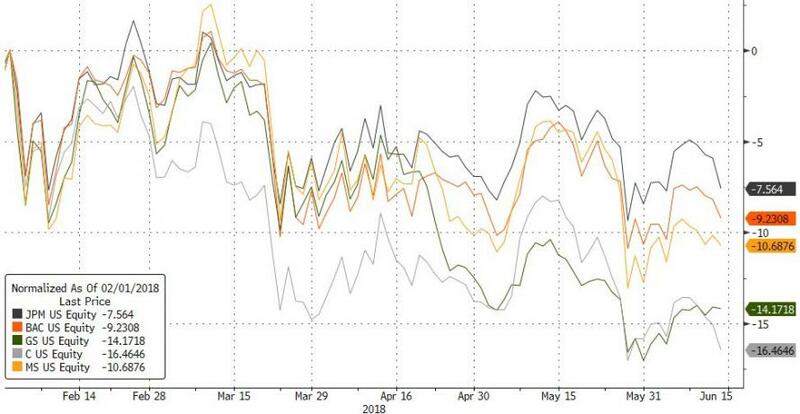 Banks in Canada, Australia and Sweden, in particular, came through the last crisis in relatively good shape, thanks largely to their exposures to China and a strong commodities market. But in the years since then, the banks had overextended, he said, trying to support rapid asset growth with wholesale funding, rather than traditional deposits. 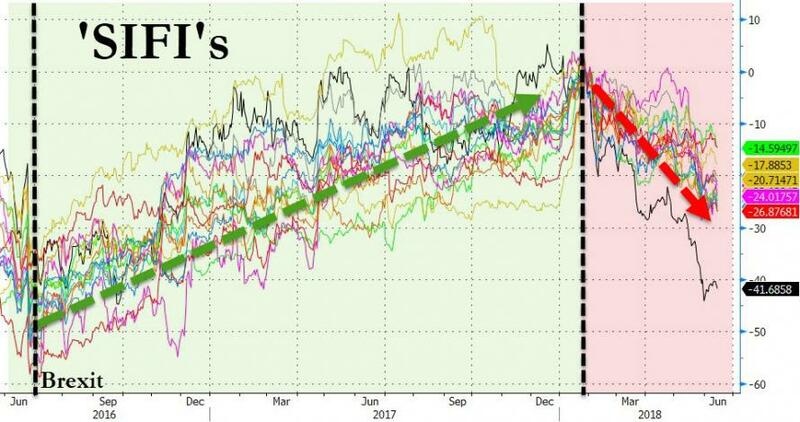 Finally, Hartnett noted bullish remarks from Jamie Dimon on CNBC last week, when the JPMorgan chief celebrated strong consumer and business sentiment and said he could find no “real potholes” in the outlook. Sooner or later, Powell is gonna get the tap on the shoulder from his real bosses and judging by the collapse of many of the SIFIs, it's soon.